Retail Surge: American retail firms saw mixed results after the bell on Thursday. 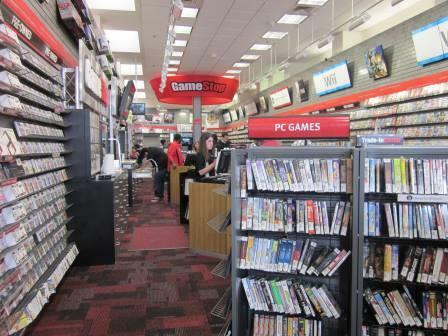 GameStop Corp. (NYSE: GME) jumped more than 5% after the company reported that quarterly sales jumped by 25%. Meanwhile, shares of The Gap Inc. (NYSE: GPS) rose 1% after hours following the company's report of adjusted second-quarter earnings of $0.70 per share and revenue of $3.98 billion. Aeropostale Inc. (NYSE: ARO) fell more than 7% after reporting poor earnings and Japanese research firm Nomura issued a $3.00 outlook for the stock, down from $5.00. Fast Food IPO: Following the surging IPO performance of El Pollo LoCo Holdings Inc. (Nasdaq: LOCO) – and its subsequent decline from its tripling in less than a week – another food chain is looking for a strong debut and cash in on investors' appetites for risk. According to reports, Shake Shack chose JPMorgan Chase & Co. (NYSE: JPM) and Morgan Stanley (NYSE: MS) to lead its initial public offering, which is expected to hit the markets later this year. The company's IPO isn't expected to be very large given that the company estimates roughly $20 million in earnings in 2015. The IPO market for food chains has also featured the debuts of Zoe's Kitchen Inc. (NYSE: ZOES) and Papa Murphy's Holdings Inc. (Nasdaq: FRSH), which haven't seen the same enthusiasm as El Pollo LoCo's introduction.